More than a year ago, Lansing teacher Deborah McMillan pressed Gov. Rick Snyder to stop appealing the 3 percent retirement court case. The 40-year veteran teacher was a lead plaintiff in the 2010 lawsuit seeking the return of money involuntarily taken from school employees’ paychecks. 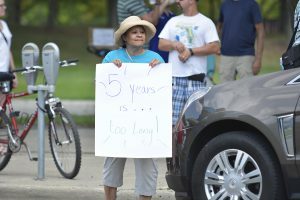 “The longer this case drags on, the more that school employees like myself feel even more dissed, demeaned and devalued by those who were elected to represent us,” the longtime educator and union activist said at a press conference in June 2016. “She was supposed to be retiring this summer, and everything is upside-down now,” said her husband of 43 years, Chuck McMillan. Like many teachers, bus drivers, custodians, food service workers, and other school employees, Deborah McMillan had a significant amount of money taken by the state—in her case, $4,050—the kind of money that pays bills and funds college tuition. McMillan taught for 40 years in Michigan public schools, 28 of those in Lansing. 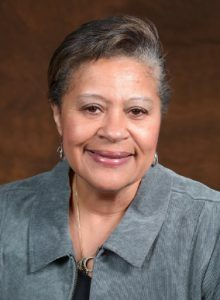 She was beloved by students, parents, and colleagues as “very loving, very open, very inclusive”—and very involved, said Chuck, who spent his career working at MEA and MESSA. When the state began withdrawing 3 percent of school employees’ pay to fund retiree health care costs—a benefit those employees were not guaranteed to receive—Deborah was “totally disgusted at the breach of contract,” Chuck said. She became one of five MEA members who were lead plaintiffs in McMillan et al. v. Michigan Public School Employees’ Retirement System, filed by MEA, alleging Public Act 75 of 2010 represented an unconstitutional impairment of contracts. Under that law, nearly $550 million was unilaterally taken from school employee paychecks from 2010-12, money that has been held in escrow pending resolution of the court case. A replacement law from 2012 has passed legal muster, because it allowed school employees to contribute more to retiree health insurance or opt out of retiree health benefits. A year ago last June, the State Court of Appeals again found the law violated multiple provisions in the state and U.S. constitutions involving the taking of private property without compensation, due process, and impairment of contracts. Snyder appealed for a third time last summer, and the state Supreme Court recently decided to hear the case—meaning more briefs will be filed and oral arguments will be heard before a ruling is issued.